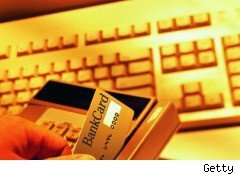 Cyber criminals that prey on consumers who bank online are stepping up their game. In 2009, they managed to separate unsuspecting Americans from nearly $560 million of their hard-earned cash. That's more than double the amount online hackers stole the previous year, when consumers lost $265 million to online banking scams. The statistics, released by the Internet Crime Complaint Center (IC3), underscore the threat fraudsters continue to pose. Despite years of sustained efforts by banks and regulators to limit the damage wrought by their unconscionable work, online bank robbers are devising increasingly sophisticated schemes. "Criminals are continuing to take full advantage of the anonymity afforded them by the Internet," said Donald Brackman, director of the National White Collar Crime Center, which partners with the Federal Bureau of Investigation on managing IC3. "Internet crime is evolving in ways we couldn't have imagined just five years ago." Email scams that fraudulently used the FBI's name topped the list of preferred approaches by the perpetrators, followed by non-delivery of merchandise or payment, advance fee scams, identity theft, and overpayment fraud, according to the report. "Computer users are encouraged to have up-to-date security protection on their devices and evaluate email solicitations they receive with a healthy skepticism -- if something seems too good to be true, it likely is," said Peter Trahon, of the FBI's Cyber Division. While law enforcement and the banks are working hard to stay one step ahead of online thieves, the onus of safeguarding one's financial assets falls largely on the consumer. The Electronic Funds Transfer Act, which limits consumer losses to $50 if a cyber crime is reported within 60 days, is a welcome protection, but it only applies to basic checking and savings accounts. Losses can be unredeemable if they are incurred under credit lines, which are governed by "negligence law." As a general rule of thumb, the more layers of security a bank has when asking for log in information, the safer it is. In addition to the standard user name and password, such layers include a security question, a site key and a personalized picture or symbol.